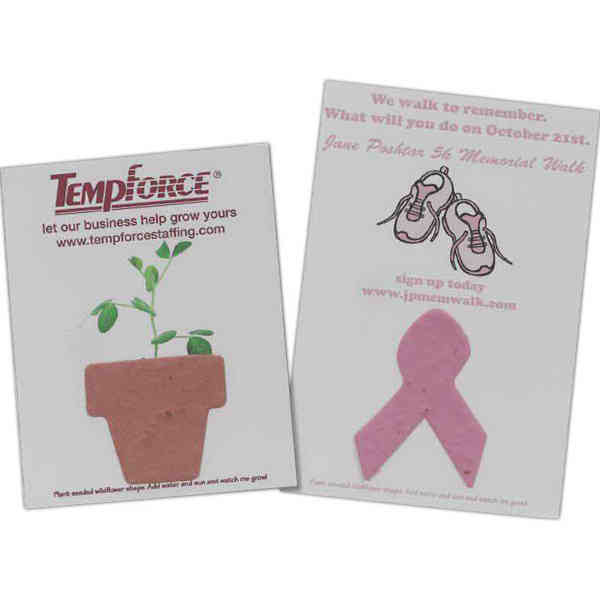 Create a marketing campaign that is sure to flourish and last with our mailer/postcard with seeded paper shapes. This unique promotion features a postcard constructed of recycled card stock with your logo and special message printed in full color on one side. As an added bonus, your mailer will come with an attached seeded paper shape. Choose a shape and color to best fit your needs. When planted, the paper will grow wildflowers or herbs. This is an effective, economical and eco-friendly way to convey your message!